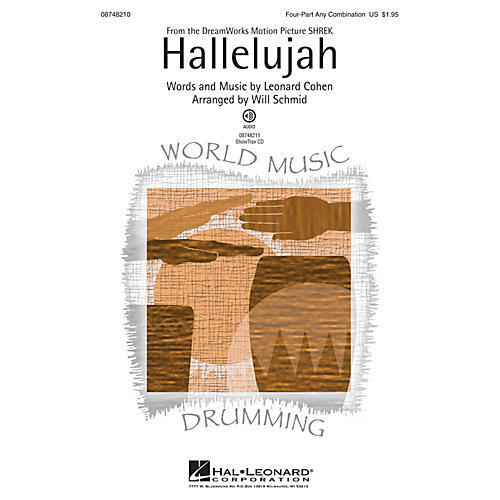 This evocative song by Leonard Cohen and used in the movie Shrek creates a mesmerizing emotional soundscape when performed with World Music Drumming ensemble, guitar and bass. Available separately: 4-Part Any Combination of Voices, ShowTrax CD. Duration: ca. 5:05.